I am so excited to introduce you to a relatively new local monthly subscription box. Here’s something you should know about me: I love good food, I love good wine (and coffee) and I obviously love beauty products. When the founder of The SMILE BOX reached out to me a couple of weeks ago and asked whether I’d be interested in receiving a special box, well…let’s just say there was a huge smile on my face. I think I’ve already mentioned a couple of times here on the blog that one of my favourite things as a child were lucky packets. The excitement of choosing that special lucky packet, and then the feeling of butterflies in your tummy right before you tear open the packet to see which toys and sweeties you banked this time. Aaaah, it was so delightful. These days I try to get that special ‘rush’ from monthly subscription boxes. I’m very adventurous and love trying out new things – whether it’s food or beauty products. So this box was right up my alley! The SMILE BOX I received last week contained a wonderful selection of interesting pamper and foodie goodies. It really was perfect timing, as I have been going through a difficult time these past 6 weeks (I’ll go into more detail in another blog post). Let’s just say I needed a good cheering up, and The SMILE BOX definitely delivered in that sense. As mentioned, they created a special box just for me which contained a selection of food, wine and even beauty products. If you decide to place an order, you’ll get to choose from 3 very different boxes. The SMILE BOX is a unique monthly subscription box that contains a selection of goodies to help you discover new & exciting products / brands that you can either keep for yourself or share with family and friends. Each box contains a selection of wines, sometimes craft beers or even bubbly, something sweet, some yummy treats, and something neat (quirky). I had a look at their previous boxes and from what I can see the selection of products is amazing – think meat rubs, artisinal chocolates, various wines, balsamic vinegars, frog-shaped tea infusers, pasta, olive oils, herb mixes, handmade nougat, Hibiscus vinegar, herbal teas, hand crafted fudge, beer bread mix and even a super cute ‘Yolk Pig’. Is your mouth watering yet? Have I piqued your interest? Good… You can take a look at their previous monthly boxes here. ♥ At the moment you can choose between a 3-month subscription box for R 599,00 per month, or a selection of once-off boxes for R 649,00 per box. There are currently 3 types of once-off boxes available: The SMILE BOX (containing a selection of food and wine products, plus a quirky surprise), The PAMPER BOX (containing a selection of beauty products) and The MAN BOX (containing various manly products). ♥ Each box will have an average value of R 1000,00 – that means you save +-R 400,00 on each box (plus each box contains mostly products that are not available at your local supermarket). ♥ ALL the products each box are full size. ♥ Your subscription covers all shipping and handling fees associated with getting your monthly SMILE BOX couriered to you. They deliver the boxes nationwide to South African residential and commercial addresses (no P.O. Boxes or Private Bags). ♥ All boxes leave their warehouse on the 15th of each month, and delivery will take place within 5 – 10 days. 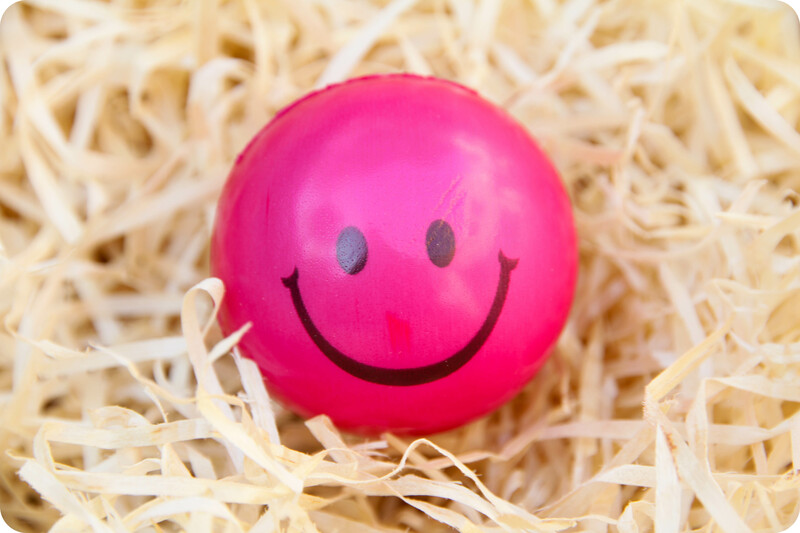 You are able to track your parcel by emailing The SMILE BOX and they will do it for you. ♥ If anything arrives broken or damaged, all you need to do is check your order before the courier guy leaves and note the broken items on the proof of delivery. 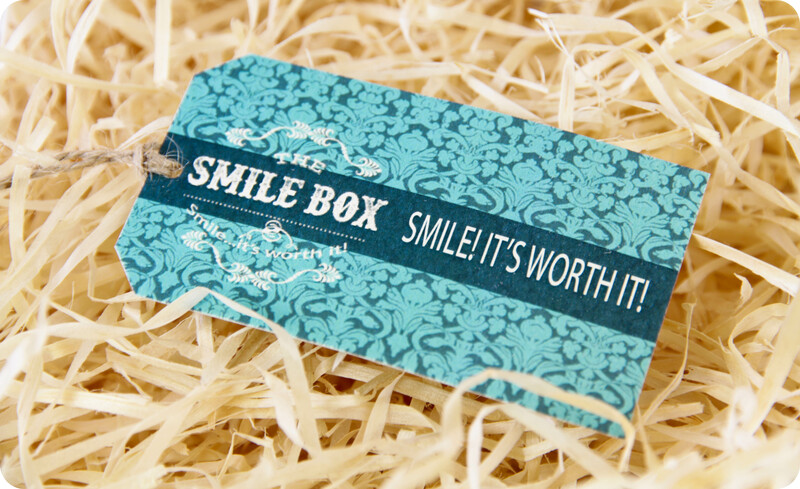 Send The SMILE BOX an email and they will sort it out for you. ♥ The PAMPER BOX contains locally-sourced bath and body care products and each month’s box will contain completely different products. What I like about this, is that they don’t include makeup products that might not suit your skin tone or personal taste. ♥ Tanya Coetzee, the founder of The SMILE BOX, sources all the products from local wineries, local markets and local small businesses. ♥ The MAN BOX also changes each & every month, so you will never receive the same goodies twice. To give you an idea, this month’s box contains 2 red wines, 4 craft beers, a man gadget, braai spice, braai marinade and a beer bread mix. I think this is the perfect birthday, anniversary, Christmas and ‘just-because’ gift for the man in your life – whether it’s your dad, boyfriend, brother, friend, gramps or husband. Everyone loves a surprise, right? 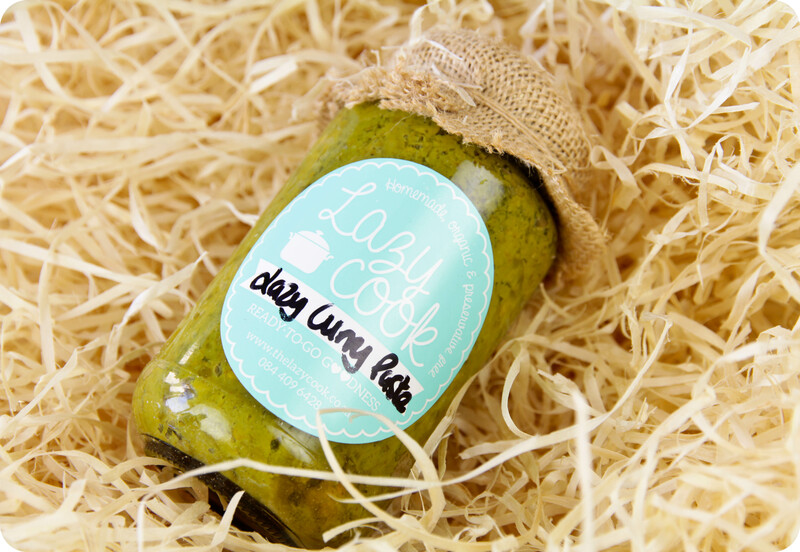 The Lazy Cook Lazy Curry Paste ♥ A bottle of homemade green curry paste that is both organic and preservative free. I did a bit of research and it looks like ‘The Lazy Cook’ is a Johannesburg-based company that delivers home cooked meals for you to freeze at home. They have a selection of beef, pork, lamb, chicken and vegetarian meals, not to mention dishes that would suit the Banters out there. Their meals and deli products can be found at a variety of delis and food markets, plus they also accept direct orders and can deliver straight to your door. Take a look at their Facebook page here. Oil & Vinegar Sazonador Para Paella ♥ An authentic paella mix made with 100% natural ingredients and top quality saffron to create the characteristic yellow colour of traditional paella. The box contains 3 sachets and 1 sachet creates 6 portions. I’ve never made paella before, and will definitely be experimenting with this soon. I must admit, even though a traditional paella recipe calls for seafood and chicken, I’ll probably just add loads of seafood. I’m weird like that, I can’t imagine eating both chicken and seafood in one dish. Plus, I’d choose seafood over chicken all day, every day. 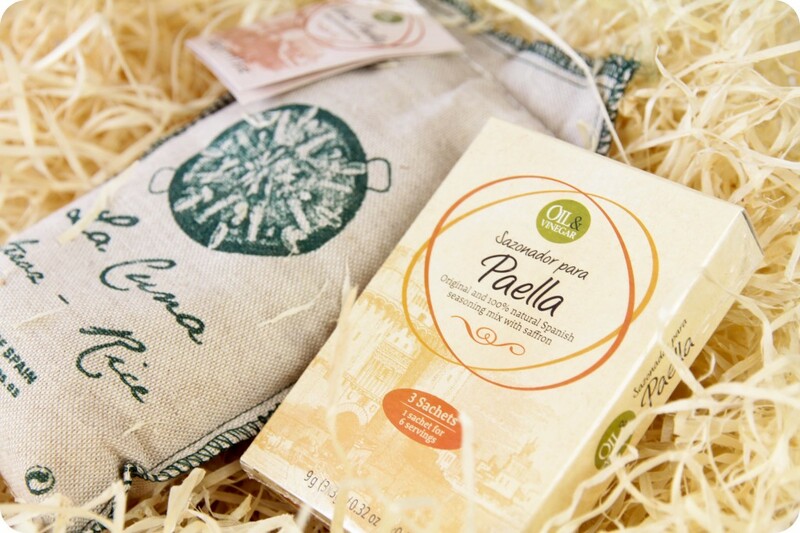 Oil & Vinegar Arroz Paella ♥ The original paella rice packaged in an authentic cotton bag from Valencia (Spain), these strong small rice grains absorb flavour better than other rice grains, and are therefore very suitable for making paella. 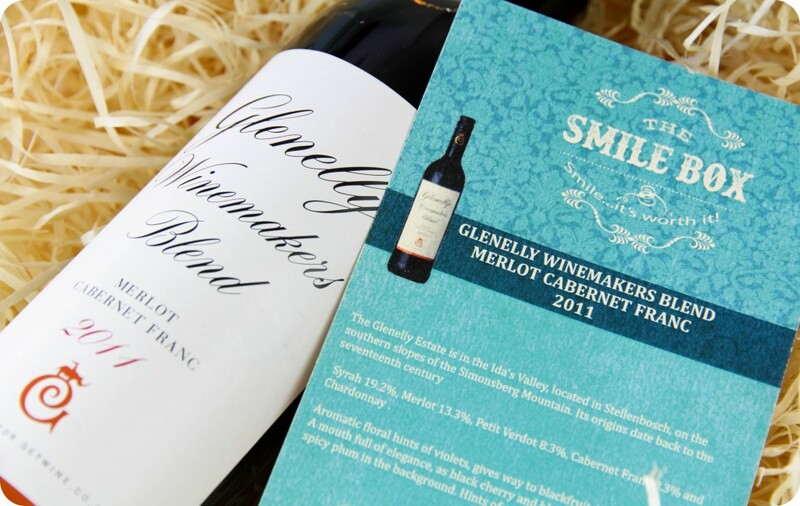 Glenelly Winemakers Blend Merlot Cabernet Franc 2011 ♥ The Glenelly Estate is in the Ida’s Valley, located in Stellenbosch, on the southern slopes of the Simonsberg mountain. This blend features a mix of Syrah, Merlot, Petit Verdot, Cabernet Franc and Chardonnay. Aromatic floral hints of violets gives way to blackfruit, liquorice and tobacco. Black cherry and blackcurrant take turns with spicy plum and hints of vanilla chocolate in the background. I love a good red wine, so I’m definitely opening this one tonight. 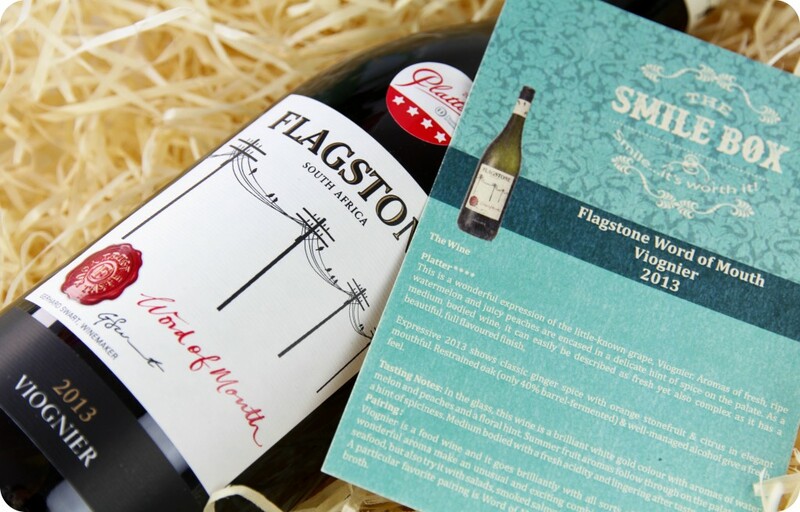 Flagstone Word Of Mouth Viognier 2013 ♥ Aromas of fresh, ripe watermelon and juicy peaches are encased in a delicate hint of spice on the palate. As a medium bodied wine, it can easily be described as fresh yet complex as it has a beautiful, full flavoured finish. In the glass, this wine is a brilliant white gold colour. I think this wine will be the perfect accompaniment for that paella I’ll be cooking soon. 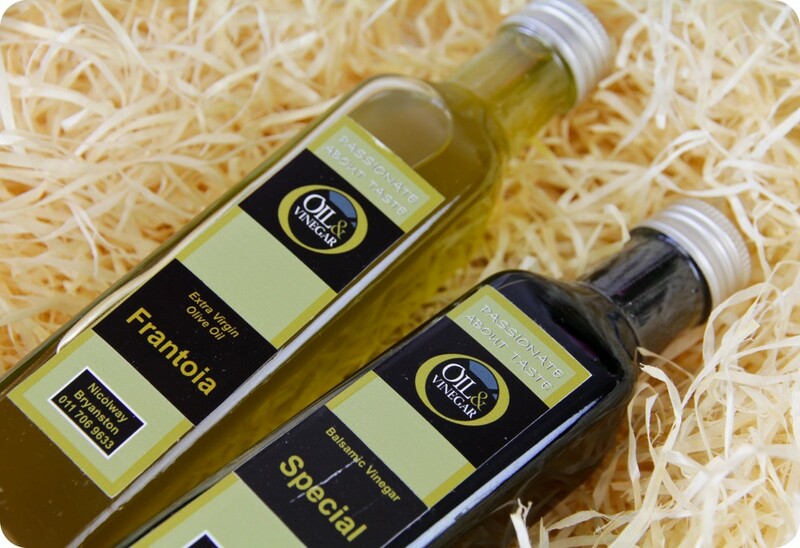 Oil & Vinegar Frantoia Extra Virgin Olive Oil ♥ Sicily is known to be an island of great cooks and one of their favourite olive oils is Frantoia. It is extremely popular in America and Sicily, this unfiltered, golden-green beauty has a delicious fruity flavour and a spicy aroma. It can be used for both finishing and cooking. Oil & Vinegar Special Balsamic Vinegar ♥ A special blend of balsamic vinegar of Modena and white wine vinegar. Made with Trebbiano and Lambrusco grapes, that are harvested by hand, slow pressed, and slow cooked immediately after pressing. Once the grape must (‘must’ is freshly pressed fruit juice that contains the skins, seeds, and stems of the fruit) is prepared it is aged in a series of wooden barrels. The difference between the Special balsamic vinegar and a traditional balsamic vinegar is the sweetness and thickness, the Special blend uses a higher concentration of grapes to achieve the very unique taste. Sublime Confectionery Strawberry Swirl Meringues ♥ Sublime Confectionery is a small business, situated in Cape Town. They specialise in handmade fudge & meringues – vanilla bean, strawberry swirl & chocolate biscotti meringues in all shapes & sizes, plus caramel cream, chunky chocolate & strawberry cream fudge. You can take a look at their Facebook page here. 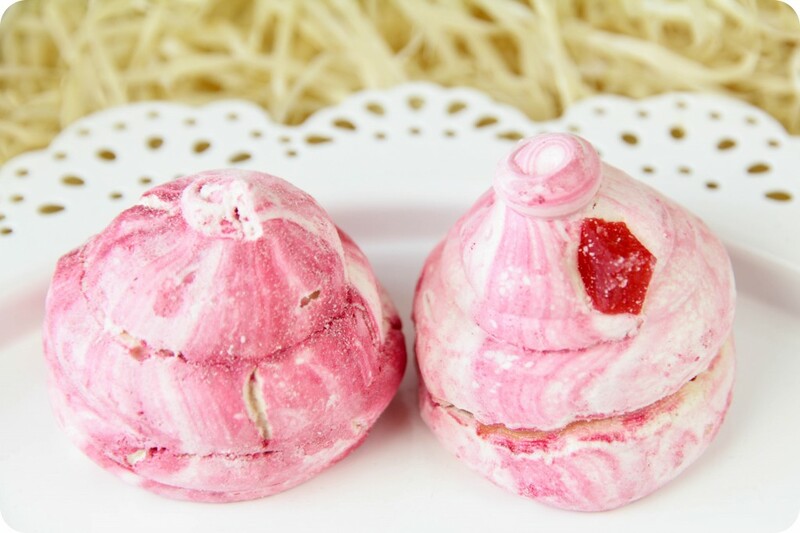 I’ve already had a taste of these gorgeous meringues and they are delicious! I’ve always had a thing for ‘skuimpies’ (as I used to call them when I was a little girl) and these are bursting with a sweet strawberry flavour, plus they contain little pieces of candied fruit too. ** Note to self: I really need to step up my food photography game! 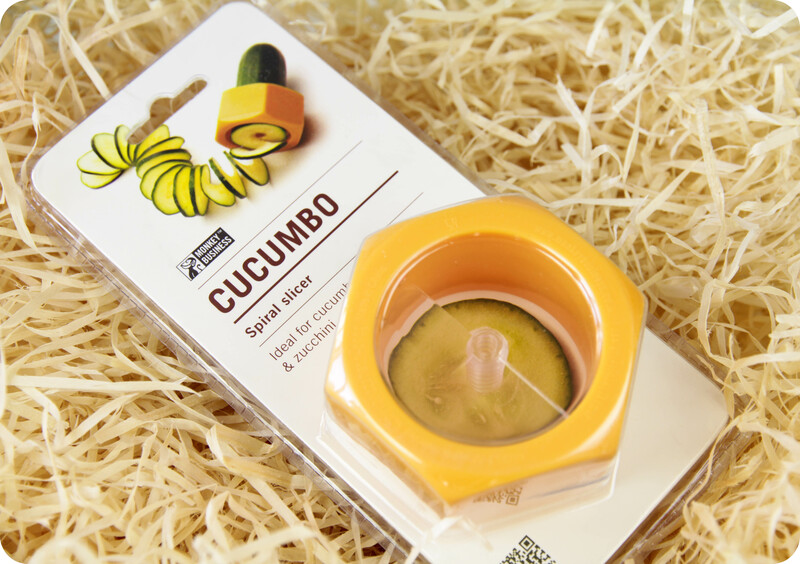 Monkey Business Cucumbo Spiral Slicer ♥ This is the cute & quirky item in the box, I really love the idea of adding something like this to each box. Not many people know this about me, but I LOVE kitchen gadgets. Whether you are keen on a raw food or a low carb diet, or you simply like your veggies to fall onto your plate in spirals, the Cucumbo Spiral Slicer is exactly what you need. I haven’t used anything like this before, so will be sure to test it out very soon. It says it’s ideal for cucumber and zucchini but I’m going to see how well it does creating potato spirals. If it works with potatoes too, then I can maybe try to make those tornado potato chips? The box also contained 2 informational cards explaining the tasting notes of each wine, plus what types of dishes each wine can be paired with. And here’s the best part, on the back of each card there’s a printed recipe for a dish that will be the perfect accompaniment for each wine. 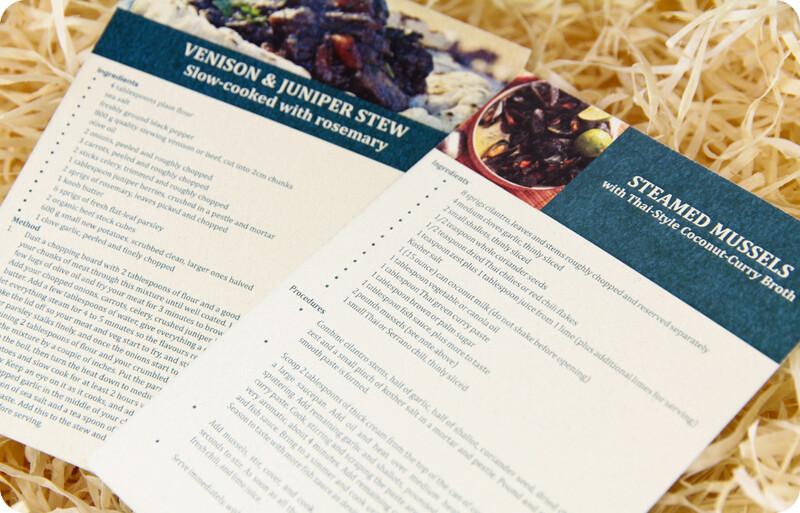 The recipes I received are: Steamed Mussels With A Thai-style Coconut Curry Broth (pretty sure I’ll be making use of the Lazy Cook Curry Paste for this recipe) and Slow-Cooked Rosemary Venison & Juniper Stew. And as for the beauty / pamper products, I was very pleased to discover a local brand called MatsiMela. I received products from their Baobab Seed range. I checked out their website, and not only do they have a fab online store but they also have a wide variety of products. Other ranges include Rooibos & Honey, Ginger & Lime (sounds divine), Litchi & Rose (okay, this one sounds even better), Red Berry and Warm Orange & Ginger, to name a few. The Baobab tree is fondly called the ‘Tree of Life’ as the kernels contained within the baobab fruit pod yield a rich, golden scented oil traditionally used by African women to protect their skin against the harsh African savannah environment. The oil has strong natural moisturising properties and is commonly used to both prevent and cure dry skin conditions of the face and body. Baobab oil contains fat soluble Vitamins A, D, E & F and Omega 3, 6 & 9 essential fatty acids that contribute towards the maintenance of healthy skin. MatsiMela Baobab Seed Exfoliating Mud Scrub ♥ A deep cleansing, detoxifying mud scrub that will wash away impurities, slough off dead skin cells and even out rough patches for smoother, healthier-looking skin. I used this mud scrub this past weekend and it left my skin feeling soft, moisturised and revitalised. MatsiMela Baobab Seed Body Butter ♥ A rich and soothing body butter that contains 10% shea butter for extra nourishment. This is perfect for dry skin that needs that extra hydration. I love the semi-whipped consistency of this body butter and I’ll definitely be slathering my feet with this creamy butter in preparation for sandal season. 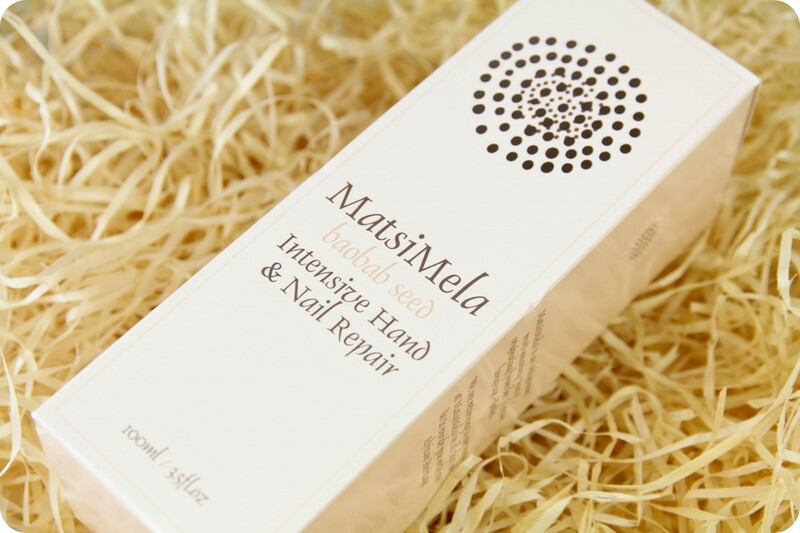 MatsiMela Baobab Seed Intensive Hand & Nail Repair ♥ This lightly fragranced hand cream is enriched with baobab oil, myrrh extract, shea butter and an active ingredient called Promois WK-H to replenish and protect the skin’s moisture barrier, while strengthening the nails. The box also contained a little pink squishy ball with a smile on it, I imagine it can be used as a type of stress ball but Jezebelle (my fur baby) has already taken it hostage as her own little toy. Will I order the next SMILE BOX? Definitely! I think the price point for the amount of products you receive is great, especially when you keep in mind all the products are hand selected and / or locally-produced. There’s nothing quite like supporting local brands, and I’m all for discovering new & exciting pampering and foodie products. Head over to their website here, and complete their +-15 second survey to stand a chance of WINNING your very own SMILE BOX! A big thank you to The SMILE BOX for sending me this delightful box, it definitely brightened up my day! What a wonderful concept!! I love the mixture of goodies you can receive. And that Mud Mask sounds just divine! Brilliant concept, especially since they cover everyone from foodies to beauty gals to manly men. Yup, they’ve really covered all their bases! I think they’ll do really well with this box, especially since products are locally sourced and not necessarily readily available in the shops. 🙂 Thank you for the compliment, Jenna. Awesome idea, you received divine looking products. My mouth is watering just looking at your photos. I just love the fact that most of the staff are not what one is used to and I am obsessed with trying new things! Yay for a new subscription box service! It’s really great that they have 3 different ones to choose from. Your photos are stunning! Glad the Smile Box cheered you up! 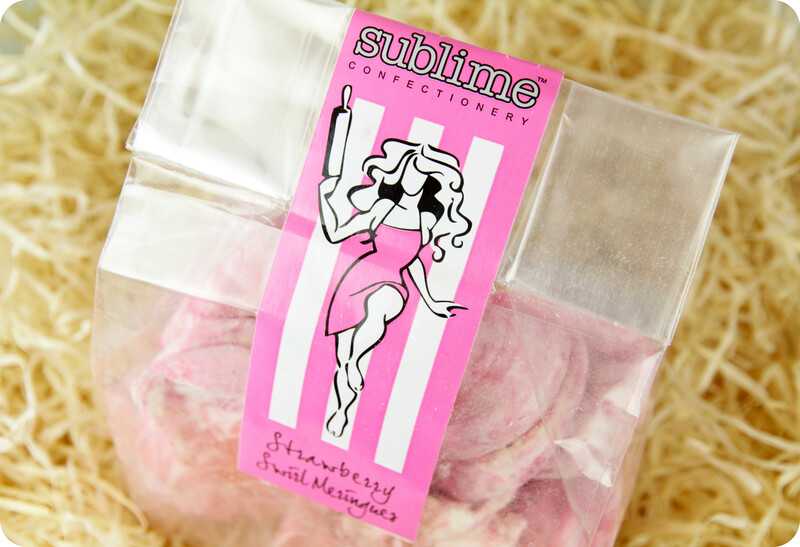 The meringues look so yummy all due to your lovely photos!